We’re almost done! These socks that we started talking about months and months ago, are almost finished! Whee!! OK. Down to business. We finished the main part of the foot last week, ending at the middle of the bottom of the foot. We cut the MC yarn, and now we’ll work the toe. This is my favorite, classic, simple toe. *K to 2 before end of the needle, k2tog. On the next needle, ssk, then knit to end. Repeat from * for the next two needles. You will decrease 4 sts per decrease row. Repeat these two rows, alternating even and decrease rows, until you have 20 stitches on your needles (5 stitches per needle). Finish with a decrease row. K 5 more stitches (your yarn will now be at the side of the toe, instead of at the bottom of the sole). Then use the Kitchener stitch to close up the toe. If you need more detailed instructions, this should help. Weave in your ends, give yourself a pat on the back and make a second sock! 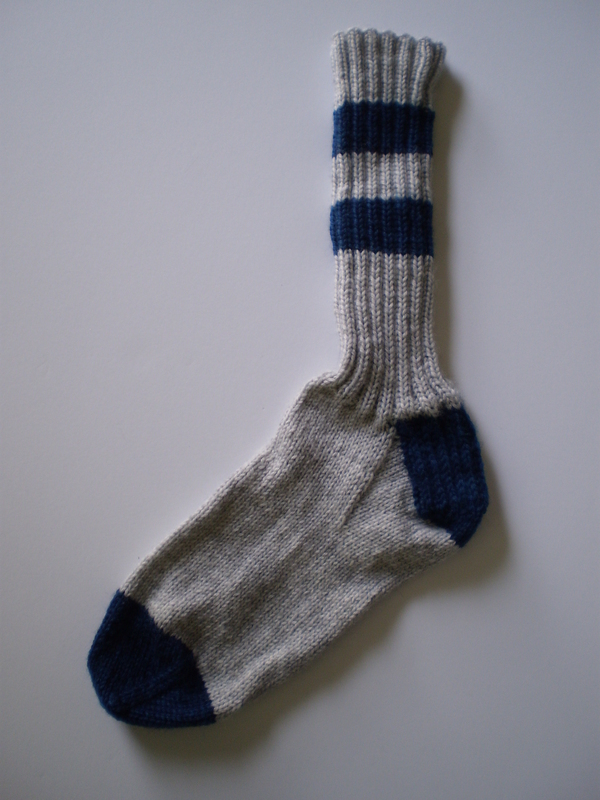 This entry was posted in Knitalong and tagged finishing, kitchener, kitchener stitch, knit, knit sock, knitalong, sock, toe, tutorial on June 29, 2015 by onemilljellybeans. So FUN! I have been reading and saving this series for when I’ve finished current wips and can concentrate on this. Great job!